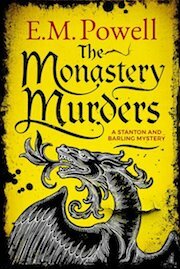 Barling and Stanton are sent to Fairmore Abbey, an isolated Cistercian Abbey cut off from world, to investigate a series of murders that happened there. While summoned by the Abbott, they’re not taken in with enthusiasm and the monks are reluctant to have an outsider to help them. This is a second book in a series but works well as a standalone. Barling and Stanton are learning to work together and starting to trust each other better. Their too different personalities still cause friction between them at times but they’re getting to know each other better. 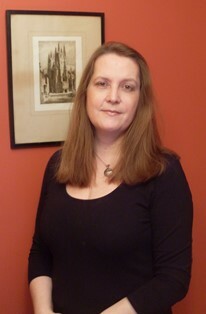 We also learn more about Barling’s past when he tells Stanton how he knows the Abbott from his youth in Paris. Great addition to the series and I’m looking forward to reading their next mystery. 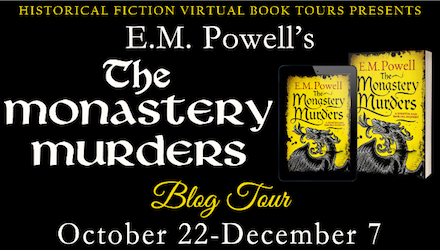 Thank you so much for hosting The Monastery Murders Blog Tour!